Studio 145 offers an amazing opportunity for stylists looking to provide their clients with a beautifully decorated, professional, and “family like” atmosphere.We offer a comfortable and centrally located waiting room where your clients can relax on our couches while enjoying a warm or cold beverage, or stroll around Sumthin Savvy’s adjoined boutique to shop the latest fashions. 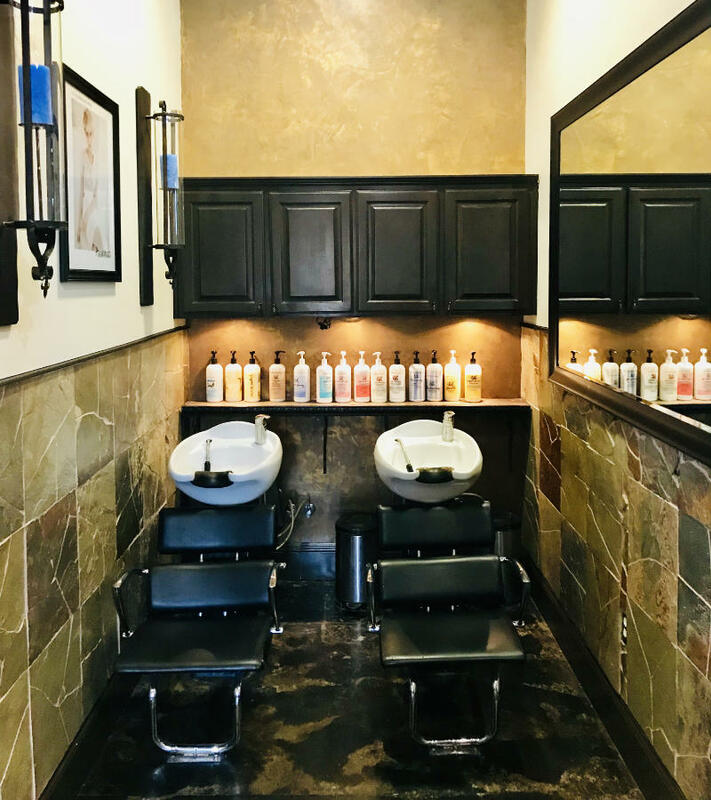 All stylists have use of Bumble and bumble’s full line of products ranging from styling products, backbar, shampoos and deep conditioning treatments. We are open six days a week, Monday through Saturday, for you to conveniently schedule your clients. All stylists work on weekly booth rental therefore allowing each professional to tailor their schedule to meet both they and their clients needs. We offer our stylists one weeks free rent for vacation per year, and utilize the professional and friendly staff of Sumthin Savvy for clients to purchase all styling products. Please contact Orland Pilon at 951 277-9360 for booth rental availability and pricing.